This weekend marked the first Modern Grand Prix since the release of Guilds of Ravnica. Earlier this morning, 1,553 main event competitors arrived at the Cobb Galeria Centre in Atlanta with their best Modern decks. After eight rounds of Swiss, 317 players made the cut for Day 2, including 12 players at a pristine 8-0 record. 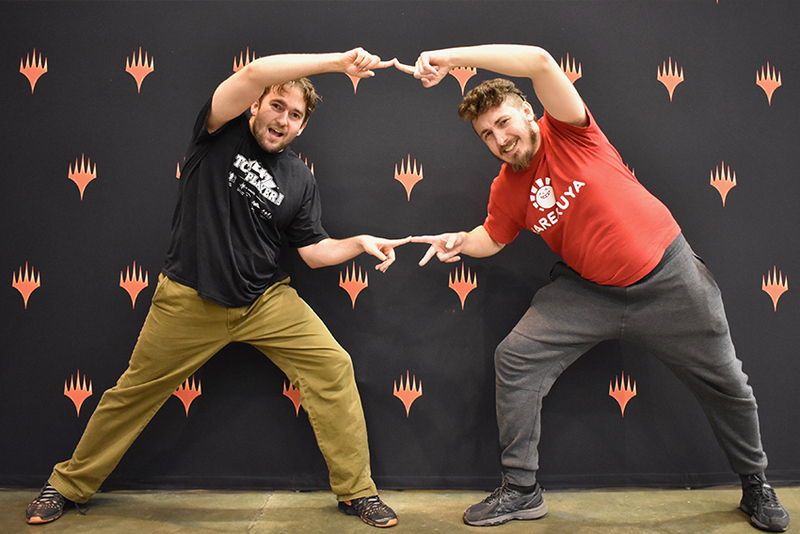 Given that the Pro Tour will be held in the same venue next weekend, an abundance of pros took the opportunity to fly into Atlanta early, including Player of the Year hopefuls Luis Salvatto and Seth Manfield. Another notable visitor was Ondřej Stráský, who not only won the last Modern Grand Prix but also had a memorable interaction at the border. Agent: "Where are you headed?" Me: "Atlanta, for Magic: the Gathering convention." Agent: "Magic? Ugh, I hate Tron!" Magic players are all the same. All in all, this weekend the number of 3-bye players reached 61. With this incredible amount, the top tables were filled with talent. The full metagame breakdown of all players who got three byes as either a Gold or Platinum member of the Pro Players Club or as a Pro Tour Hall of Famer can be found below. The two most popular decks were Humans and W/U Control, which is in line with the Modern metagames we've seen at recent events. Numerous pros told me that they didn't dedicate much time towards testing for this Grand Prix—the average amount of testing for the pros I talked to was approximately one Magic Online league. 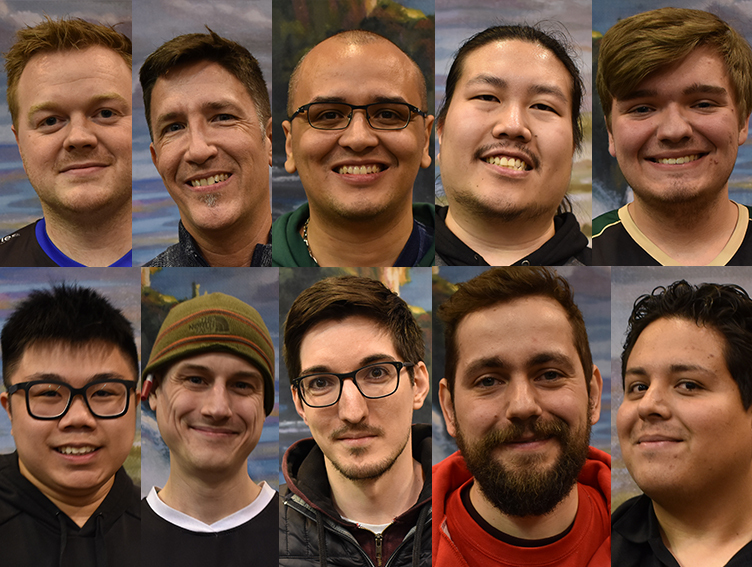 Most of them were instead focusing their efforts on breaking Standard for next weekend's Pro Tour while relying on their Modern experience from past events instead. 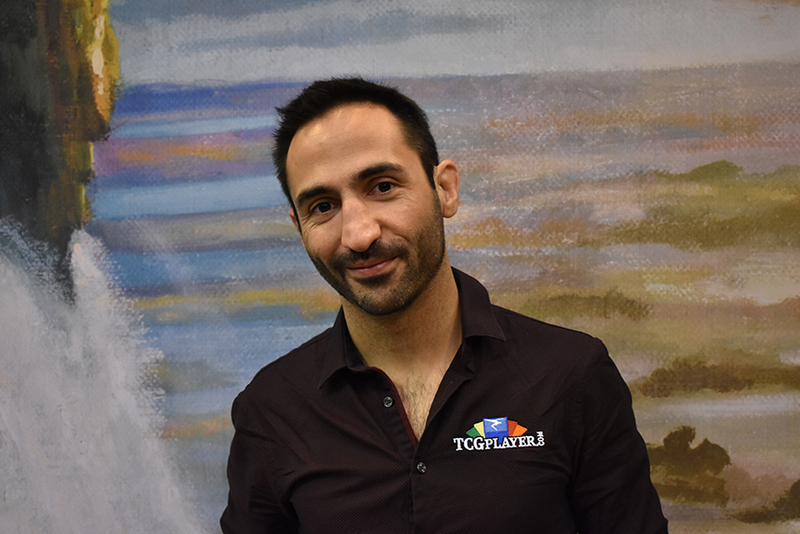 Take Luis Salvatto, for instance, who managed to tie Seth Manfield for the Player of the Year title—tune in for the playoff this Thursday at 12 p.m. PT/3 p.m. ET/8 p.m. UTC on on twitch.tv/magic—in the last event of last season by making Top 8 at Grand Prix Stockholm with W/U Control. This weekend was a break from Standard testing for him, and naturally, he didn't change away from W/U Control: "It's still a really powerful deck. There are some new Dredge decks that are really hard to beat, but with more Rest in Peace in the sideboard, I think you can mitigate that." One of the Modern decks that had gained the most from Guilds of Ravnica was Dredge. Although Creeping Chill has not fundamentally altered the deck, it has revitalized it. Draining up to 12 life over the course of the game provides reach, helps Bloodghast get active, and is hard to interact with. The deck performed very well in the first couple of weeks after Guilds of Ravnica's release, both online and offline, and plenty of people brought it to Atlanta this weekend. To learn more about what Creeping Chill does for the deck, I talked to Hall of Famer Raphaël Lévy, who wrote an article including a gameplay video on the deck last week. "Creeping Chill makes the deck a bit less consistent, because you cut some dredge cards, but your draws can be so much better. You get the extra turn you need to win, and that makes all the difference," he told me. "For example against Burn, sometimes you were just one turn behind. Helixing for three is so much better...you only get a turn, but you make sure you never die." "Against Storm, often you would finish the game where they're at 2 life," he continued. "Now, they have to kill you on turn 3 or 4. They don't have this extra turn anymore. And against control decks, it gives you the reach you need. Just upping the clock one turn—it's huge." Another deck that got a considerable boost from Guilds of Ravnica was Jund—the most popular home for Assassin's Trophy. Assassin's Trophy is an extremely efficient and versatile answer that can hit any permanent, giving the deck a huge upgrade to the removal suite. Abrupt Decay, for instance, was unable to target Jace, the Mind Sculptor or Urza's Tower. And Dreadbore couldn't hit Hardened Scales or Amulet of Vigor. With Assassin's Trophy, you no longer have to make compromises. 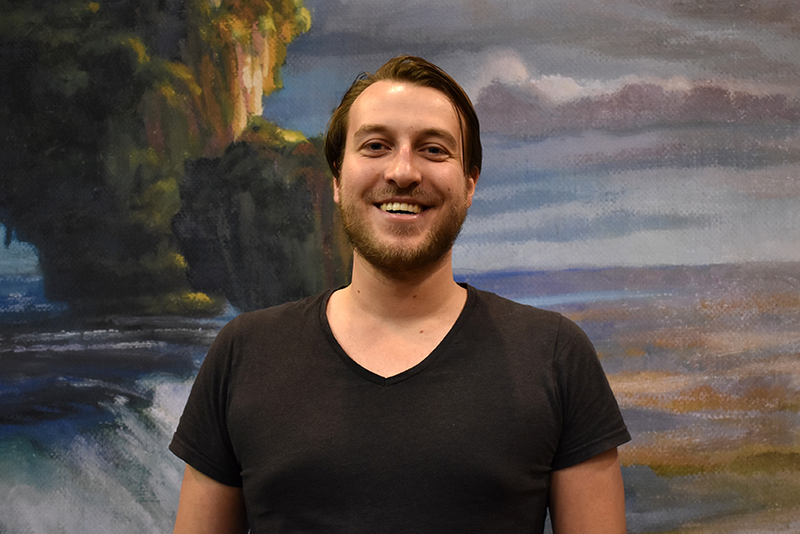 "Not having to play something narrow like Dreadbore is nice," Pro Tour Dominaria Top 8 competitor Thomas Hendriks told me when explaining why Jund got better. "The reason why I think Jund might be good now is that you have Assassin's Trophy for previously problematic matchups like Blue-White for Teferi, Hero of Dominaria and Azcanta, and the deck is naturally good against graveyard decks because you have maindeck Scavenging Oozes and graveyard hate in the sideboard." Another factor, as Michael Bonde pointed out to me, is that Assassin's Trophy made the deck more streamlined main, so that your sideboard gets better against the field. The flexibility gives you more wiggle room, freeing up sideboard slots and allowing you to focus your sideboard against specific targets more than before. The final Guilds of Ravnica-enabled deck that I would like to highlight was made possible by Arclight Phoenix. Ideally, it is discarded to Faithless Looting on turn 1, followed by Manamorphose and two Lightning Bolt on turn 2 to get a hasty 3/2 for free. When it works, it's incredible, and several different builds had been making the rounds on Magic Online. 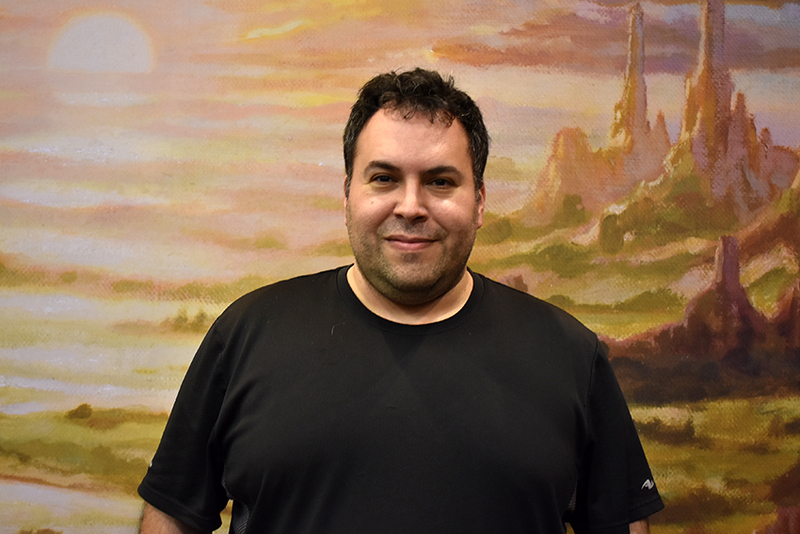 As most of the three-bye pros were focused on Standard for the upcoming Pro Tour and just picked the deck they already had experience with before the release of Guilds of Ravnica, only one of them registered an Arclight Phoenix deck: nine-time Grand Prix Top 8 competitor Jon Stern. He played two leagues with this mono-red version he found, went 10-0, added blue for Thing in the Ice, and locked it in. "I think it's great. It's a burn deck but it attacks in different ways." Stern described the game plan of his deck as follows: "Basically, you construct a good hand and then at some point you go off, casting three or four spells in a turn, and either attacking with Arclight Phoenix or Thing in the Ice. And then at some point, you just morph into a burn deck, and Bedlam Reveler just refills your hand. You have that one key turn where you're attacking for a lot of damage with your creatures, and then burn them out." So why the blue splash? "The mono-red version is much faster because you're playing Desperate Rituals, but it is very susceptible to hate cards," he explained. "If they have a Rest in Peace, your Bedlams are turned off and your Arclights are turned off...Thing in the Ice is really difficult for some decks to beat, it doesn't die to Lightning Bolt, and I've been really impressed by that card. This version is slower, but Thing in the Ice makes it more resilient, and the splash is nearly free." Although Stern narrowly missed Day 2, I saw several Arclight Phoenixes at the top tables throughout the day, both in mono-red or blue-red builds. We'll be keeping a close eye on the emergence of this archetype tomorrow. Twelve players reached the end of Day 1 with undefeated 8-0 records. Congratulations to Michael Bonde, Sol Malka, Thiago Rodrigues, Thomas Lee, Jacob Ballington (top row, left-to-right), Yam Wing Chun, Caleb Scherer, Florian Trotte, Gonçalo Pinto, Marcelino Freeman (bottom row, left-to-right), Martin Jůza, and James Baggett (not pictured)! Day One's undefeated decks are: 2x Humans, 2x W/U Control, 2x Dredge, as well as one copy each of Bogles, Hollow One, Jund, Storm, Jeskai Control, and The Rock. All 8-0 decklists will be posted in a separate Day 2 coverage article at the start of Round 15. For tomorrow, all competitors effectively get an extra hour of sleep, as Daylight Savings time ends tonight in Atlanta. This is particularly good news for European players, who get the benefit of the time change two weekends in a row. The Day 2 stream on twitch.tv/magic returns at 9 a.m. local time (ET)/6 a.m. PT/2 p.m. UTC. But no matter your time zone, we'll open with Good Morning Magic to showcase the most interesting Modern decks in Day Two, as always.